Now is a great time to see the ling heather on the moors in all its glory. 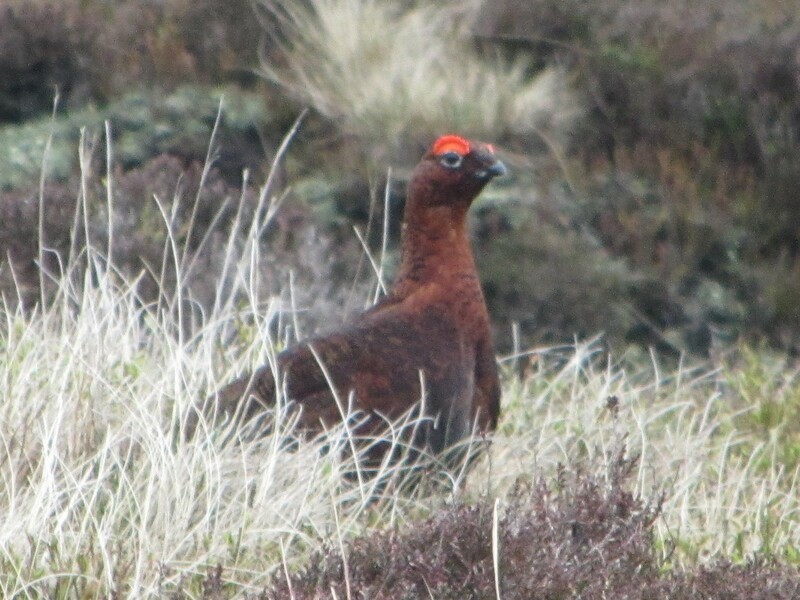 Whole moorlands in the Peak District appear to be carpeted in purple! The heather has been late flowering this year, probably due to the cooler than usual and wet weather that we have experienced over the summer. The displays of flowering heather that we have seen over the weekend on our half day guided walks and Derwent Edge Walk, have however been well worth waiting for. This morning our ‘Nature Walk’ took us onto the Peak District moorland along Burbage Edge and across the beautiful Burbage Basin. 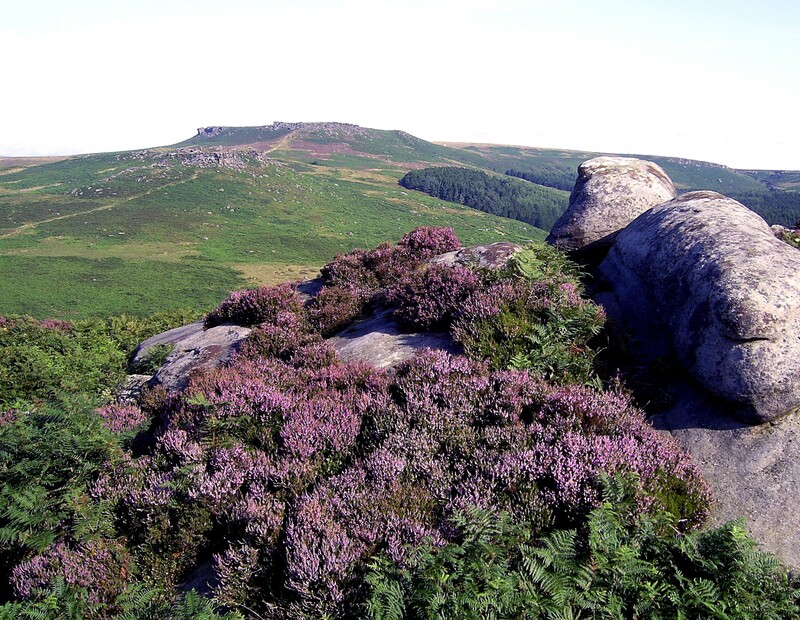 It is a wonderful time to be walking on the moors as the heather is just beginning to come into flower. It will be a few weeks yet however before it is at its best. 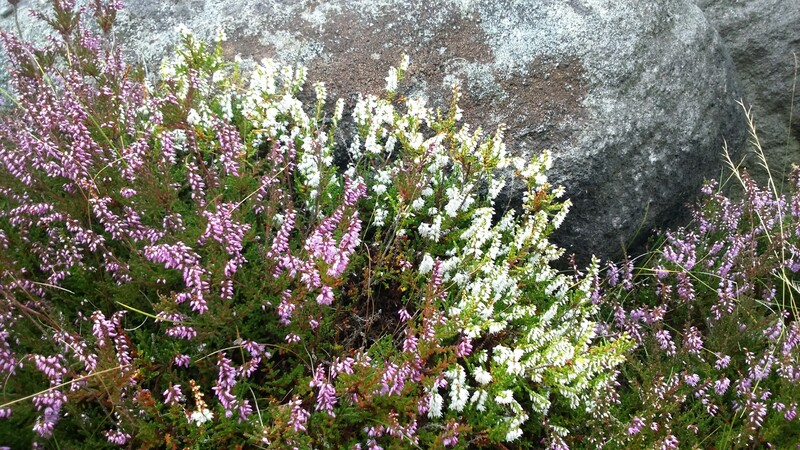 There are three types of heather in the Peak District. 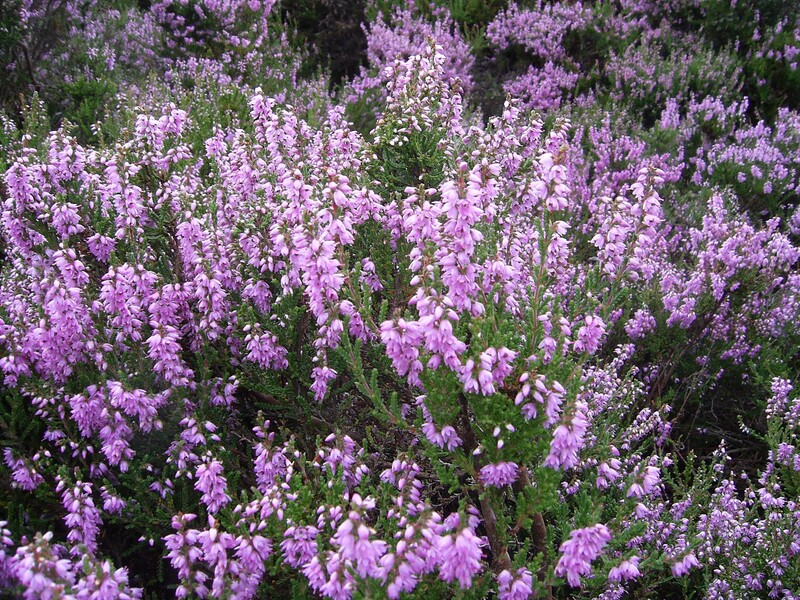 Ling Heather is by far the most common and it is the Ling Heather that gives the impression of our hills and moorlands being carpeted in purple. Less common is the Bell Heather which has slightly larger flowers with a slightly plumby tone to them. Least common of all is the Cross Leaved Heather with its pretty pink flowers. 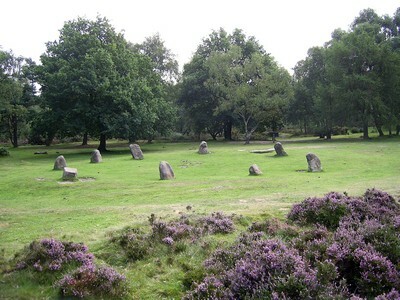 This heather likes wet places and tends to grow in boggy areas of the moorland.